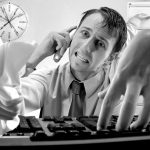 Do you sometimes have the feeling that you are a slave of your business? That your business can not survive for 1 single week without you? That your continuous input and intervention is required to keep your business moving forward? That you are working for your business in stead of the other way around? And that you don’t see how to find time to grow your business without working night shifts? If this is the case, then continue reading. We’ve been there as well and I’m going to give you some advice on how to escape from the ‘service business trap’, as I call it. When Peter and I founded our previous business in 2010 we had a dream. We wanted to grow a business, earn a decent income, and life a comfortable life. So we started a company that rendered services in the software development industry. We were excited about the thought of working towards our dream. … and before we realised it we were sinking away below a pile of not-so-exciting work. Moreover, since our monthly costs had risen quickly after a few hires, we started accepting some less attractive projects to make sure we’d be able to pay the bills during the next months. And that is always bad. This should have been a warning sign. These less attractive projects for customers with lower budgets caused a disproportional amount of overhead. TIP: You should never accept less attractive projects out of fear of not being able to pay the bills 5 months from now. Wait for or hunt for the good projects. With good projects we mean projects that are not only profitable but also improve your market positioning. This means they can be used as a reference to attract more of these customers and you can show off with them on your website and portfolio. It was frustrating a lot of the time, and the more we grew, the larger the frustrations grew. We stopped growing because we didn’t have time to improve and market our business. With all the work that had to be done to sell and deliver service projects, we did not have time for marketing or workflow improvements. We we working IN our business instead of ON our business. Our dream of living a comfortable life while at the same time earning a good income was gone. We had the feeling we were in a trap and we had no idea how to get out, given their was a continuous pressure to fix things and please customers. I remember a chat conversation with Peter while I was on a biking trip in Norway: “We have to get out of this, I can’t take this anymore”. 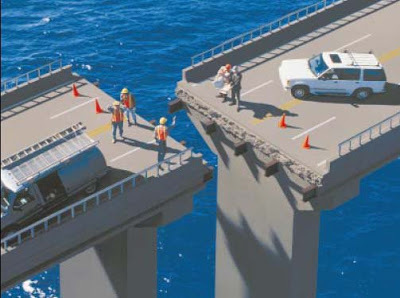 If you are running an architecture, engineering or construction firm I hope that this does NOT sound familiar to you, but I’m very sure that for most of you it does. The AEC business is the mother of all service industries: every project has to be negotiated, sold, executed and delivered from scratch … over and over again. And if you don’t watch out you’ll be trapped just like we were. It was time to step back and develop a plan on how to get out of the ‘service business trap’. We figured we had two options. We could improve our service business in a way that allowed us to partly step out of the day to day business. OR, we could switch to a product business. We chose the latter, and decided to re-focus completely towards recurring revenue. 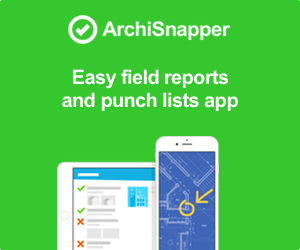 Fast forward: we developed ArchiSnapper, and today we have more than 5000 users. It’s been the best decision in our professional career so far. Also AEC professionals like you can generate recurring revenue. In fact, we are working on a series of articles on how to achieve this. You can subscribe to our email list at the top of this page if you want to learn more about this. 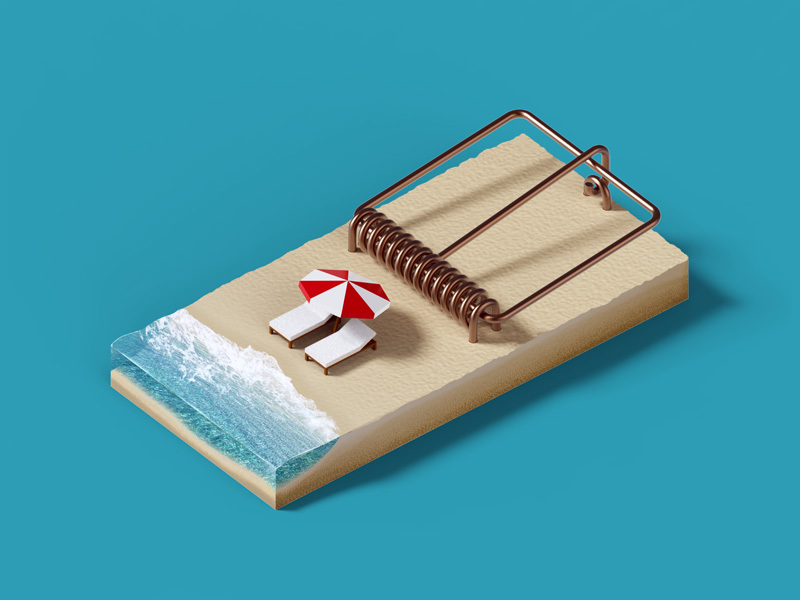 If you’re not interested in passive revenue and you want to keep on doing what you do best – designing, engineering or developing construction projects – then make sure to not fall in the ‘service business trap’ just like we did. Make sure you have enough time to work ON your business. Here are the most important tips to help you get out of the daily operations and start working more on (growing) your business. By implementing these tips you are in fact already working on your business. This is the most important one. A lot of your time goes to managing other people. So you should hire people that allow you to manage less and work more. People that manage themselves and don’t wait for tasks and daily check-ins. People that set their own direction and free you from oversight. Don’t try to save money by hiring poor quality ressources. 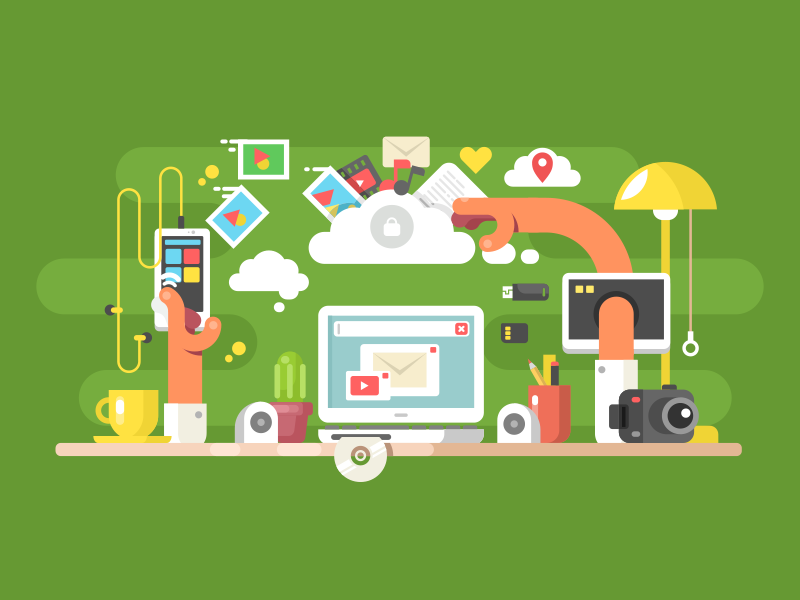 Instead spend what might seem a lot of money on hiring good people who can work autonomously. When you give a good employee an assignment you will be able to remove it from your mental to do list and trust that the task is in good hands and will be taken care of properly. You’ll be amazed by the energy that’s being released to you when you don’t have to constantly manage and follow up with your people. This is specially true for small companies, where people need to work autonomously and to some extend need to be generalists. 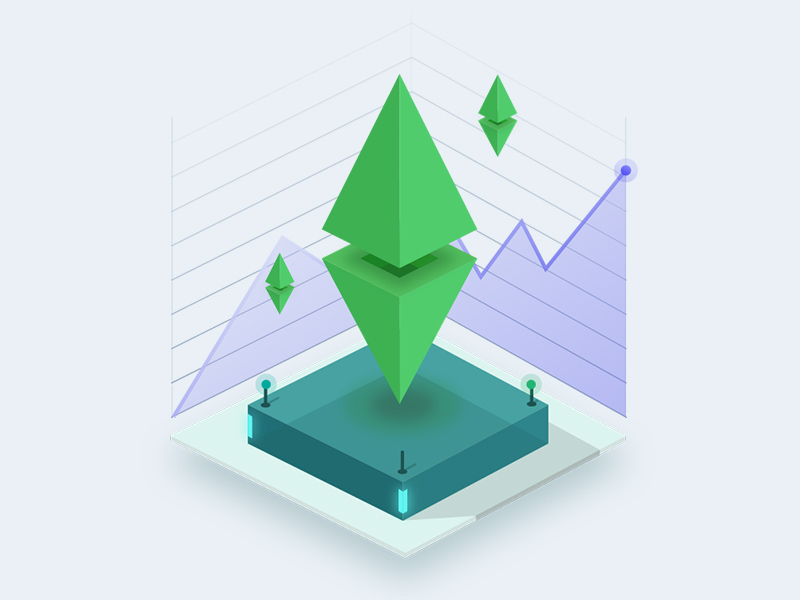 For small companies, those profiles often prove much more valuable compared to specialists that can’t work autonomously and that have difficulties with communicating with customers for example. How to spot these people? Look at their history: have they been self-sufficient before? Have they organised things before, even not work related? Have they started a company before? Hiring the right people is an extremely important factor for the succes of your business. Working for the right customers is very, very important. Good customers understand that everything comes at a price. They understand they shouldn’t be stalking you with all their ‘ideas’ because your time is valuable, and that you are not working exclusively for them. Customers that don’t value a long term relationship and that are focussing purely on cost instead of the value you provide are a real pain. You should run away from them as fast as you can. They will keep on asking for more, they don’t respect you or your work, and in the long run they are not profitable for your business. When we where in the software service business, we had 2 or 3 customers like that. These 2 or 3 customers caused 80% of the frustration and overhead. The thing is, in most cases you can feel from the very beginning (during your first conversation) if a customer belongs to this category, the ‘run away as fast as you can category’. Instead of following our instinct and not accepting to work together we accepted these customers because we only looked at the positive side: accepting these customers meant a certain amount of money coming in so we were sure not to fall without cash during the next 6 months or so. This is a very tempting attitude, but when looking back on our service business period I think that this is maybe the biggest mistake we’ve made. We accepted customers that didn’t value us or our work. Customers looking to receive a lot of value for little money. You should never do that. In fact, when looking back, it’s only when we started refusing and even firing customers that we were able to pivot towards a better business. We were released of the frustration and time absorbed by these wrong customers. We decreased the size of our team a bit. The result was much more time, positive energy and fun! How to select good customers? Set your rates high enough. In our article on ‘why you should double your hourly rate‘ we explain why this makes sense and how increasing your rate will attract customers that value your work. Another way to scan and select good customers is by having the guts to ask the right questions during the first meeting. Asking someone for his or her expectations and budget is not impolite but shows that you are serious about the job. If you feel budget and expectations are not aligned then you should just say this and see how he or she reacts. If that person is already not really listening to you at this point, but instead making up excuses why he thinks the budget should be sufficient, then you know enough and you should already be looking for the way out. This is about organising your ressources in the best possible way. Try to think with an open mind about the activities that take place in your business and how they are currently organised. Start with identifying the 3 tasks that consume the most time and the 3 tasks that cause the most frustration. Take your time to sit back and for each of these tasks evaluate if 1. they are necessary (some tasks are not really necessary, they are what experts in lean management call “waste”) and 2. if so, if they can be organised in a better way? Do this with your whole team (even if you’re only 2 people) and make sure to have a whiteboard available. You’ll be amazed how many inefficiencies exist in your company. Whether it’s about managing invoices, writing proposals, managing clients, tracking time, creating field reports and punch lists, accounting and administration, marketing and sales, etc. In all of these areas there’s most likely room for working smarter and more efficient. A lot of consultants and software companies will claim that they understand your business and that they are perfectly suited to help you with this. But the truth is, they don’t care about you, they care about generating sales. You know your business best and it takes nothing but common sense to evaluate and improve your daily workflows. All you need to do is schedule half a day to get in a quiet room with your team, without phones or computers, and start reviewing and analysing in a critical way the way you work to today. Take enough time to write out the complete project scope in a very detailed way before the projects starts and add this document to the contract to have it signed by the customer. The more detailed this document is, the less room for discussion there will be later on. Work with intermediate invoices: you don’t want to give the customer all the power by waiting until the end to release one invoice for the whole project. Send the first bill when kicking off the project and if appropriate also send bills as the projects evolves. Example: 30% on project kick-off, 30% when reaching milestone 1, 30% when reaching milestone 2, and 10% upon project completion. Forcing the customer the pay along the way is the best way to have the customer not wait until the very end to make clear his expectations on work to be done or corrections to be made. This allows for these scope discussions to take place during the project instead of at the end. When doing the exercise above you should always keep the idea of automating manual actions in the back of your head. When executing tasks frequently they become habits and we forget to think about why and how we do them. In a lot of cases a shared google doc can solve the pain of working together on the same documents. And don’t forget that there are a lot of professional, affordable and scalable cloud softwares available on the market to cover your needs. Here‘s an article we’ve written on how architects and engineers can use cloud software to support their business. Investing time and working on the 4 areas mentioned here above will gradually turn your small business into a machine that doesn’t require your continuous input any longer. With the right people, the right customers, the right workflows and the right tools your business will gradually start running on autopilot. You now have time to grow your small but well organised business by spending time on valuable activities that typically are completely at the bottom of your list when you’re in survival modus: taking your best customers for dinner, going to network events, trying to connect with people you admire and look up to, working on interesting deals, updating your website and portfolio, sending newsletters to your customers, even read a good personal development or business book, etc. In addition, by working on these 4 areas your business becomes much more prepared for growth. You have developed a machine that has the people, processes and systems in place to deal with growth. You can accept new deals without increasing the stress level in your team. Bottomline: by working ON your business and improving how it’s organised you will be able to spend more time on growing your business. Moreover, by doing so your business will be much more prepared for future growth. It will run much more on auto-pilot and and won’t require your continuous intervention. You’ll be able to work less in your business and have less stress, while growing your business faster at the same time. Excellent advice. Hiring the right people and the right clients are key to running your firm well and not getting bogged down with frustrating unproductive non-billable work. Optimizing and automating will keep things running smoothly. I teach my clients this. Thanks so much for your feedback Hope!